The Ecosmart is one of the most popular brands of water heaters due to its tankless technology which supplies you with endless running hot water. Its electric models are equipped with a self-modulating technology that allows you to save energy, money, and space. 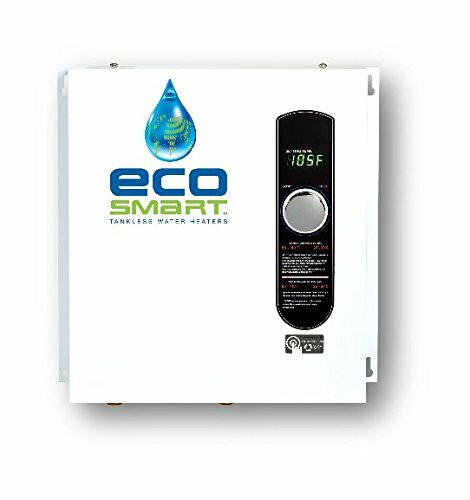 The Ecosmart consists of a wide variety of models, each designed to serve a different flow rate. So, whether you have a huge mansion or a small one bedroom apartment, an EcoSmart model can serve your needs. Therefore, I have compiled a list of the best EcoSmart tankless water heaters so that you can make an informed buying decision. Warranty: Lifetime Warranty on electronics, exchanger and element. 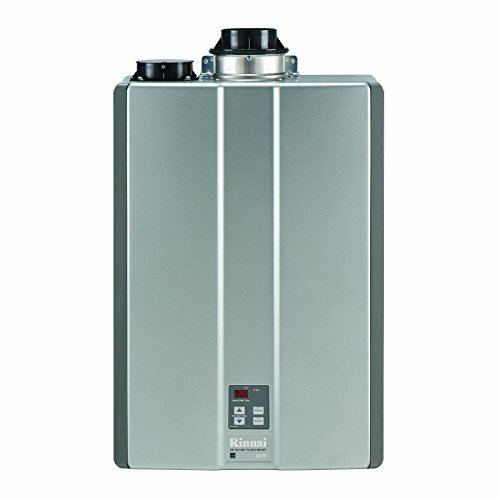 When it comes to quality electric water heaters, nothing can beat the ECO 18 tankless water heater. The water heater is extremely easy to use and easy to maintain. Although the product was manufactured in China, its copper and stainless steel construction make it incredibly durable and efficient. 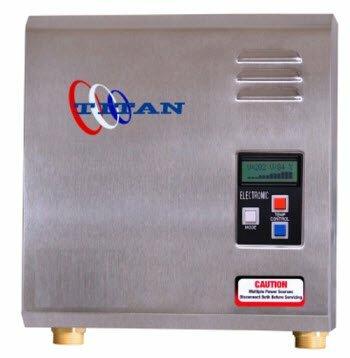 The model includes a digital temperature control that allows you to set the temperature from 80 to 140 degrees F. You can change the temperature in increments of 1 degrees F. The ECO 18 is much more energy efficient than regular water heaters and uses merely 75 amps for an activation flow of 0.3 GPM. Its patented self-modulating technology allows it to use energy according to the requirements. It can easily heat two sinks and showers simultaneously in hotter climates, while for colder climates, its heating capabilities are reserved to a sink and shower only. The tankless model allows your heater to provide you with endless hot water because it heats the water when it passes through the ECO 18. Unlike the conventional tank water heaters that heat all stored water continuously, it only heats water when needed. 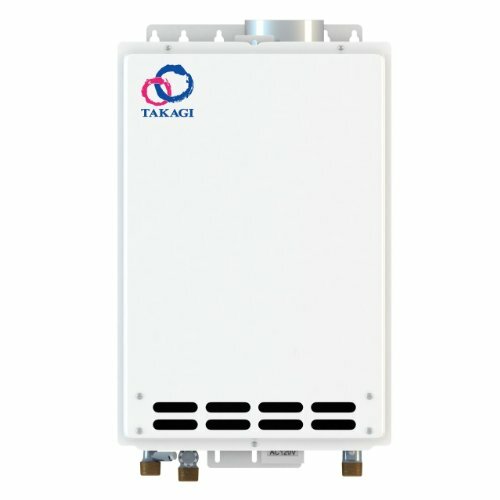 Furthermore, the tankless variety imparts a sleek, compact look, measuring 17″ x 14″ x 3.75″. One of the most attractive features is the lifetime limited warranty that allows you to use this product for years on end. So, if you’re looking for an energy efficient solution to heat up your small apartment or house, I believe the Ecosmart ECO 18 is the only way to go. The ECO 27 Tankless Electric Water Heater packs much more power than the ECO 18, ensuring an endless supply of hot/warm water to your home. The 27kW version utilizes a digital temperature control as well, allowing you to make temperature changes in increments of 1 degrees F. The temperature range for the ECO 27 is 80-140 degrees F as well. What’s mainly different is that it uses 27kWatts of power and can heat a maximum of 6 gallons of water per minute. The high power allows it to heat a sink and 4 showers at the same time. The copper andstainless steel combination are not only energy efficient, it imparts a certain modern and sleek look to the unit. The maximum amperage is 112.5 Amperes while the voltage is 240V. The model is tankless as well. This means there is no specific tank to store waterand so the water gets heated as it passes through the model. The ECO 27 utilizes the self-modulating technology that uses only the required level of energy, saving up to 50% on water heating costs. 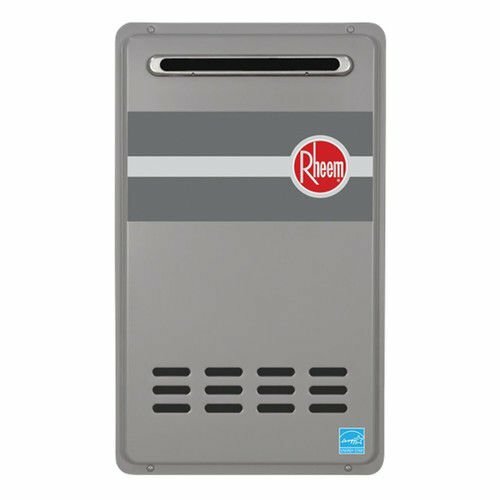 The tankless system saves space as well as energy. It allows the unit to be small and compact. The unit’s dimensions are 17 x 17 x 3.625 inches. The lifetime limited warranty ensures you can get your unit fixes if there are any defects in the craftsmanship or workmanship of the model. The EcoSmart ECO 27 is certainly smart and will help you save money, energy,and space, all at the same time! For a better amount of high water, the ECO 36 is your go-to. It utilizes 36kWatts of energy at 240V to properly heat up water. The ECO 36 is perfect for extremely cold weathers or in those situations that require a lot of hot/warm water such as a Jacuzzi, water bath etcetera. It can provide hot water at a rate of 3.5 – 6 gallons per minutes, meaning you can run 4 showers,and a sink simultaneously on the unit. Also included is the self-modulating technology which allows the unit to only use the required level of energy. This can result in 50% less operating costs, saving you both energy and money. The tankless technology steals the spotlight here. It allows the water to get heated up as it passes through. If it were stored in a tank, it would take up more energy to heat up such a huge bulk of water. This also means no more waiting for the water to heat up. The no tank version helps you save 90% space as well, so, you can easily hide the unit away out of sight. The unit starts at a minimum of 0.3 GPM and requires a dedicated 150 amperes. The 36 is made of copper and stainless steel as well, adding to the durability of the unit. The biggest and the smartest of the Eco models will never leave you shivering with cold! The Ecosmartis one of the leading technologies in providing homes with endless hot running water. For those who could not afford their bigger models, the company has introduced a smaller version called the ECO 11. It includes the patented self-modulating technology that allows it to use only a required amount of energy, saving up to 60% of the cost. This allows the unit to take control of the energy to ensure properly heated water at all times. It operates at 11kWatts at 220V while it requires a minimum flow rate of about 0.3 GPM. Although the maximum flow rate of two gallons per min might seem low, it is more than sufficient for smaller houses and apartments. It can easily run two sinks and one shower simultaneously. The tankless design allows for an endless supply of water so, you don’t have to wait around for the water to get heated up. 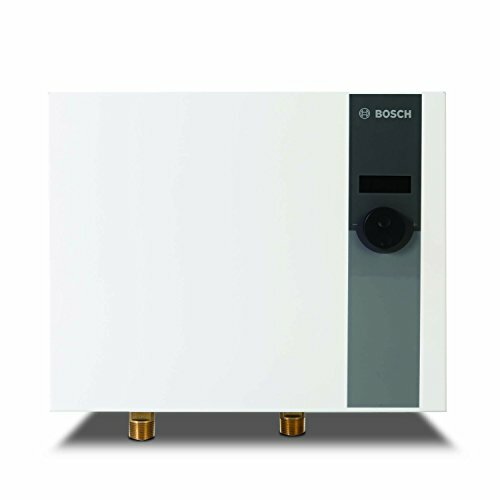 The tankless design saves space as well, as you only get the small compact heater, measuring 11.5″ x 8″ x 3.75″. Also included is a digital control panel so you can set the heater at your preferred temperature. 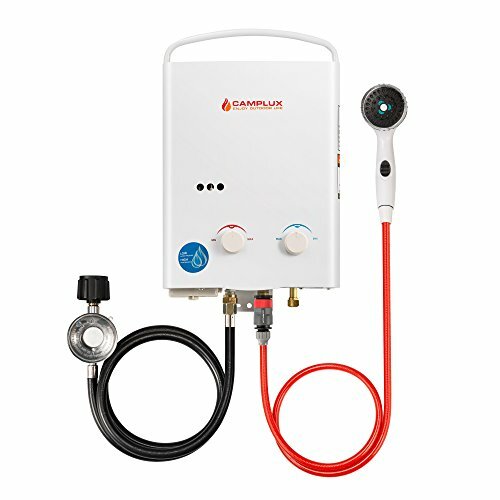 It allows you complete control of the heated water to an accuracy of 1 degrees F. The best part is that the unit includes a Lifetime Limited Warranty that ensures you can go get it checked for problems, all for free! So, if you’re looking for a smaller and more affordable version of the EcoSmart, then the ECO 11 is the one you should consider. Although the ECO 8 might not pack as much power as the others, it can still deliver a lot to the table. It is perfect for one room dorms and college students, who need an affordable option for hot running water. This unit can only operate at a 67 degrees F temperature or above. It can easily heat 1.5 gallons of water to an outlet temperature of 105 degrees F, which means about 1 showerhead. What’s more is that you can control the temperature yourself using a digital temperature regulator that allows you to change the temperature in increments of 1 degrees F. Its operating amperage is about 57 amperes while the required wire is about 8 AWG. The ECO 8 is made out of steel and copper to impart efficiency and durability to the unit. In addition, it looks modern and sleek. Included with the ECO 8 is a self-modulating technology that uses up only a required sum of energy. No more, no less. This when combined with the tankless design, makes the ECO 8 extremely energy efficient. The tankless model is great for saving space as well. You can easily save up to 112 cubic feet of space that would have otherwise been taken up by a tank. It is the perfect solution to make your small one-roomed apartment feel like a royal house. The Point of Use series by the Ecosmart is designed to make your heating systems smarter. These units allow you to use the water heater for a specific purpose. The POU 3.5 is such a high-quality water heating system designed to be used under the sink. It can basically be used anywhere where you require a maximum flow rate of 0.5 gallons per minute. Also included in the package is a 0.5 GPM sink aerator. The design is very sleek, modern and compact. This small size allows it to be used under the sink conveniently. Another great add-on is included and that is a temperature display where the temperature is controlled by the flow rate and is called flow control. It can easily heat 0.5 gallons of water per minute to 105 degrees F.
The POU 3.5 is a tankless model because it heats the water as it passes through it. This allows it to save energy as well as space. These tankless designs make the model about 99.98% efficient. However, this can only be sued for a single sink at a time and you have no control over the temperature. If you want hotter water, you might need to slow down the flow rate. The model requires a minimum of 100 amperes electrical power and plumbing connections of ½” NPT. It delivers up to 3.5kW at 120V. All in all, the Ecosmart POU 3.5 is perfect for under the sink installations as well as RVs and boats or an office. Another POU by Ecosmart, this one operates at a much higher power and can handle heating up more water. The POU 6 is perfect for under the sink installations or places where you only require heated water. However, it should be noted that the POU 6 can only deliver to one sink at a time. It can heat up to 1 gallon per minute of water and also includes a 0.5 GPM aerator. However, the temperature cannot be controlled. Instead, it is adjusted automatically by the flow rate. This means if you need more heat, you need to slow down the water. It a can easily heat up 1 GPM to 105 degrees F. A distinct advantage is the compact size of the heater that allows it to be installed easily under the sink. The POU 6 delivers 6 kWatts of power at 220 Volts while the operating current is about a minimum of 100 amperes. The POU 6 features a tankless design that allows an endless flow of heated water. You don’t need to wait for the water to get heated in the tank either. Instead, all the water is heated as it passes through the unit. No tank saves a lot of space as well and allows it to be stored nearly anywhere. The required breaker is a 40-ampere single pole breaker that can be connected to a 10 AWG wire. With the Point of Use 6, you can easily get heated running water on the road or even on the seas. If it’s Ecosmart, you already know its high quality. Such is the case with their brand newEco 8Green Energy Tankless Water Heater. This water heater utilizes a tankless design that saves space as well as energy. How? in usual models, you might have to fill up a tank and then wait for the heater to heat it up. Every time the tank ran out, you would have to wait for it to fill and heat up again. However, with the tankless version, the water gets heated as it is pumped into the system. It is energy efficient as well as less heat is used. Since there is no tank, the unit measures merely 12′ X 9.75′ X 3.75′. This compact size allows for easy installation and storage. First, you need to decide how many sinks and showers you will be running. For a bigger house, I recommend you go for the bigger models, while for a smaller one, I recommend the ECO 8 or 11. If you intend to use it in an office to run a sink, you can use a POU 3.5 or 6 as they are small enough to fit and can easily supply a sink’s worth of water. The water flow rate of the model can help you determine whether it will meet your demands. The higher the flow rate, the more showers,and sinks you can run on it. You normally require atleast 2 GPM for a shower and 1 GPM for a sink. The ECO range has various flow rates ranging from 1.5 to 6 gallons per minute. The temperature rise depends on the inlet temperature of the water and can affect the GPM of the device. For instance, the Eco 8 can provide 1.5 GPM of water to 105 degrees F from 67 degrees F. However, if the inlet temperature was colder, the GPM would go down drastically. Since inlet temperature depends on the location, I recommend those living in colder areas to invest in a higher capacity model. Models that can run 4 sinks and a shower in hot temperatures can only run 1 sink and 1 shower in a colder temperature. So, it is much better to go for a higher model or to install individual POU heaters. The ECO models offer you digital temperature control where you can easily set the temperature. However, in the POU models, the temperature is flow controlled, which means it depends on the flow rate. For bigger homes where you might want controlled temperatures, I recommend going with the ECO models. If you’re buying an Ecosmart heater, chances are you plan on saving energy. 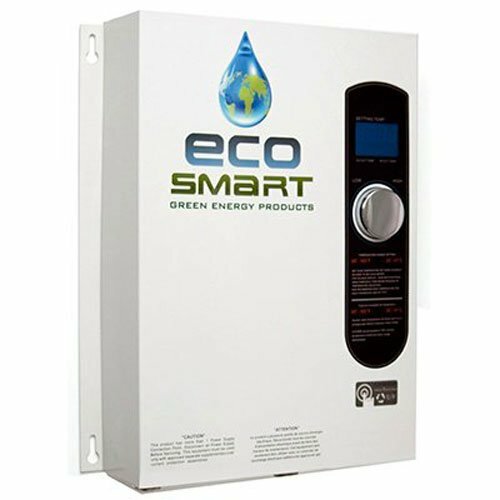 The Ecosmart comes in a variety of energy ratings from 8 to 36 kW. However, I recommend you buy a model that comes with a self-modulating technology that delivers only the amount of energy needed and increases the efficiency to 0.9. This allows you to save energy and cut back on all those electric bills. Why Should You Use an EcoSmart Tankless Water Heater? All of these water heaters are tankless meaning that they heat the water as it passes through it. The tank type, on the other hand,requires much more energy to be heated. In addition, most eco models are equipped with self-modulating technology that adjusts the power according to your needs, allowing you to save 50% of the cost. Since there is no tank, you can simply install them anywhere you like. The largest model ECO 36 measures only about 17 x 19 x 3.8 inches. The POU models are even smaller, allowing you to install them under sinks. Another distinct advantage is that it can supply continuous heated running water because it is tankless. You don’t need to wait around for the water to be heated nor you have to watch out for when all the hot water runs out. It only heats water when you want it, resulting in 99.98 percent thermal efficiency. Tanks are more susceptible to burst, leak or rust away. They merely last 10-12 years. However, the Eco tankless models can last up to 20 years. One of the most important benefits is that the Eco models come with a 20-year warranty which is unseen before in the industry. Where Can You Use the EcoSmart Tankless Water Heaters? Point of Use: Install only where needed such as under a sink. Models: POU 3.5 and 6, ECO 8 and 11. Whole House: Install in a central location to provide heated water to whole house. Models: ECO 18, 24, 27 and 36. Offices: POU 3.5 and 6. Water Heater Booster: Boost the capacity of your primary heater. Models: 8, 11. Solar Extender: for backup. Models: 11, 18, 24, 26. Heated Flooring: Models are 18, 24, 27 and 36. Q: What’s the difference between the POU and the Eco Models? A: The POU model only serves one plumbing fixture while the bigger Eco models can be used to run more than one fixture. Q: What is the temperature range of these models? Q: What is the activation flow rate of these models? The EcoSmart brand features innovative tankless water heater technology that allows you to significantly cut down on your electricity bill. Not only are they energy efficient, but also they do save a lot of space (compared to traditional heaters) and time because the water will become hot instantly. Now, that you know what to look for when buying an Ecosmart, what’re you waiting for?